Whenever we start a new implementation of Sage Live, we always ask the same question. “What are you looking forward to most about Sage Live?”. There is always at least one person in the room who answers “The reporting!”. As a maths graduate, I love reporting and data analysis. Although much of my time at itas is dedicated to the implementation of Sage Live, I am also involved in lots of the Business Analytic solutions we provide. So it is always extra exciting for me to work with clients who are looking to improve their reporting. Especially, when they have chosen to do it through Sage Live! 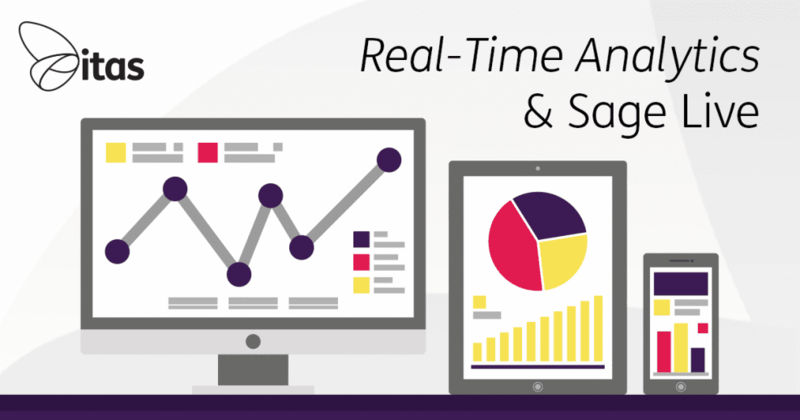 What is Real Time Analytics? In recent years, the trend for data analytics has shot skywards. Our ability to collect and store information is improving all the time and naturally people are keen to get information out of the system as quickly as it went in. If we think about financial reporting in particular, it is easy to see the value of Real Time Analytics. At the end of the month, the majority of companies will work through their month end procedure. A part of this would be reporting. Whether its putting together a management reporting pack or just producing a few reports for the directors. Last week, a client told me that the usual month end routine takes about 3 weeks to complete. Meaning there is only 1 week a month spent not cleaning up and looking back to the previous month. So lets say we put together a management reporting pack in the second week of September, looking at data as at the end of August. Any trends you spot, any areas you are concerned about – well its already half way through the next month. It is already too late! That is where Real Time Analytics comes in. The ability to report and act on data that is entered into the system, as soon as it is in there. Where does Sage Live come in? Traditionally, accounting systems are easy to get data into but getting it back out is a struggle. Of course, there are ways to improve your reporting whether you are using Sage 50, Sage 200 or another accounting system. 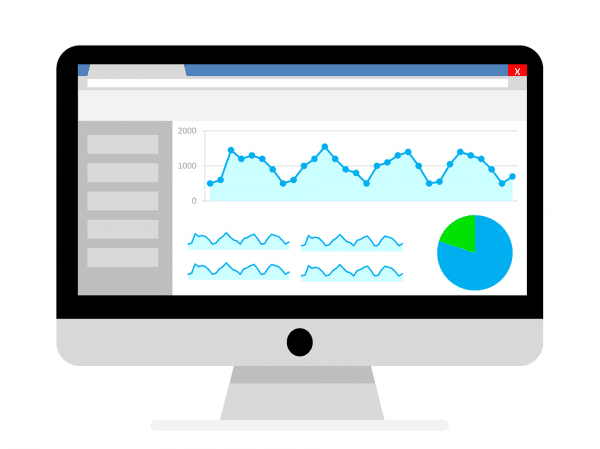 We use Microsoft Power BI to plug into those systems and help you get access to the data you need. However, Sage Live is a different beast. The main focus of Sage Live is to allow you to get a quick and accurate view of your business in just a few clicks. Of course, there are so other great features along the way. But for me, the biggest strength of Sage Live is the tool it gives you to build your business. Even without customised reports, you are given Company Performance& Customer/Vendor Dashboards as well as a whole host of standard reports. This means that right from the very start you have the tools to monitor the health of your business. With every invoice added, every payment into the bank recorded the system updates and your dashboards refresh. The days of printing off reams of paper reports to pass round a meeting room are over. Instead, you pop your Dashboard up on the screen and review the business as at now. This should give you the power to act quickly, to identify areas of concern or prosperity in the moment. Not three weeks later! Within Sage Live you have the choice of 5 different reporting tools depending on what you need. On of the many perks of being built on the Salesforce Platform is that Sage Live shares the Salesforce reporting tools. Including – Einstein (formerly known as WAVE) used for creating interactive dashboards. Great visualisations and the ability to drill down into the data makes these dashboards a fantastic Real Time Analytics tool. You do of course have the standard Salesforce Dashboard designer too. The majority of your reports will be built through the classic Salesforce Report Designer. This includes your Aged Debt Reports & Trail Balance as well as Revenue by Customer etc. From a Sage point of view, you have Ledger Analysis to produce your P&L and Balance Sheet documents. Then you have Sage Intelligence which allows you to further breakdown those documents. For example, in a month on month P&L. This plethora of tools means that regardless what type of reporting you have in mind, Sage Live can probably deliver! Real Time Analytics is the analysis of current data. It is an image of your business at this very moment. The speed of reporting, coupled with the ease of input of data makes Sage Live perfect for businesses looking to grow. Reporting contained inside the system means you can be confident that the data is accurate and up to date. Hopefully, your month end will be cut right down and you will be left with more time to actually understand what is going on in the business.